It's the way your baby gazes into your eyes as if pondering the meaning of life. It's how your infant grabs onto your shirt to play with the buttons and collar. It's your toddler stacking and sorting, as if addressing a problem that only he can solve. These are all examples of curiosity at work, and it's something all kids have in common. "Curiosity is an inherent characteristic that starts when we are babies and is important for brain development throughout life," says Rochelle Wainer, Ph.D., vice president of global insights at Baby Einstein, a leading baby product and toy brand. "For parents and caregivers, it's important to celebrate and support this curiosity as it's a trait that will help them lead a successful life. It helps cultivate many fundamental skills while building confidence and a love of learning." Play-based learning is one of the most effective ways for small children to develop basic skills that set the stage for educational success. Kids are always interacting with their surroundings, so parents can foster this important exploration by engaging with their little ones through talk and touch as they discover everything around them. In fact, getting on their level and checking out the world from their vantage point is the perfect way to start. Next, parents can inspire curiosity and creativity in infants by setting out basic child-safe instruments for kids to interact with as music plays. Art is another great activity for young children. For example, get some non-toxic finger paint, cover baby in a smock and let them go to town as a little Picasso. Finally, get a plastic bin or table and transform it into a sensory space by placing a variety of different items infants can explore, including utensils like wood spoons and items made from different materials like stuffed animals and fabric swatches. Quality is more important than quantity for toys, and not all toys are created equal when it comes to inspiring curiosity and fostering development of critical skills. Because playing with toys is a favorite pastime for kids, be sure to stock your collection with toys that inspire curiosity and learning. Plus, according to a Baby Einstein survey, 90 percent of parents agree that toys that encourage curiosity interest their child for a longer period of time than toys that don't. Baby Einstein is focused on developing toys that support curiosity and learning in kids, and the Baby Einstein Easy Touch Piano is the perfect example. This simple wooden piano features innovative cap-touch technology that is designed with sensors embedded underneath. As the child touches the wood keypads, different notes respond almost magically. It's perfect for infants and toddlers alike and is predicted to be a top holiday toy. Learn more at www.babyeinstein.com. It's never too early to start reading to your child. Reading is one of the most valuable ways to help children's language and imagination grow. 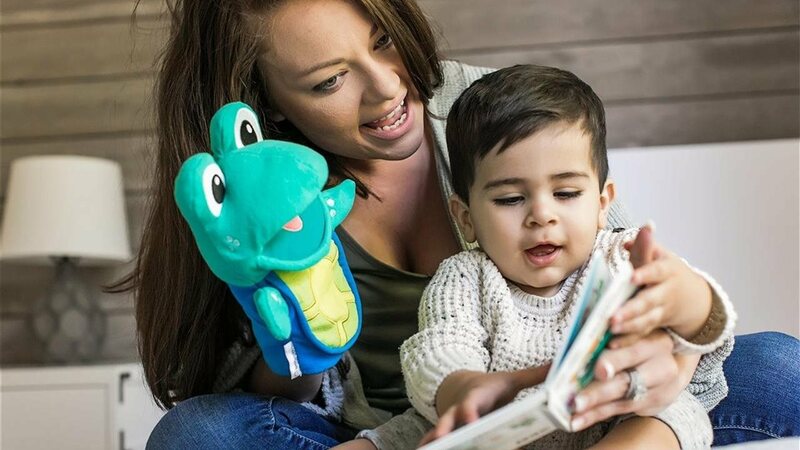 A whopping 77 percent of parents in the Baby Einstein survey said they read with their children at home or at the library to help fuel their curiosity. Whether it's board books for babies or picture books for toddlers, try sitting down daily with your child and a good book. You can make reading an interactive activity for you and your little one by having them pick out the book and help flip the pages. Ask them about the things they see on the pages. Have them point to different pictures and feel different textures. Even if they can’t speak yet, you’ll be communicating and building language skills. "Encouraging your child’s curiosity today will cultivate their confidence, creativity and discovery for tomorrow," says Wainer. "These are just some of the countless activities that can help set your child up for success as they grow and develop throughout life." Engage through play: Play-based learning is one of the most effective ways for small children to develop basic skills that set the stage for educational success. Stack the toy bin: Quality is more important than quantity for toys, and not all toys are created equal when it comes to inspiring curiosity and fostering development of critical skills. 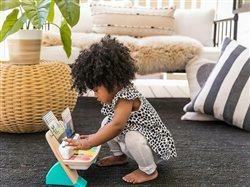 The Baby Einstein Easy Touch Piano is the perfect example. Read, read, read: Reading is one of the most valuable ways to help children's language and imagination grow.